We welcome you to experience the sami way of life at our camp. We can offer you memorable experiences in the most precious location of Sapmi, Kautokeino. By visiting our place you can expect magical experiences. The most unforgetteble experience we introduce to you is reindeersledding with our very kind tamed reindeers, and a delicious reindeer stew around the campfire inside a cozy lavvu. The atmosphere can’t be described, it must be experienced. 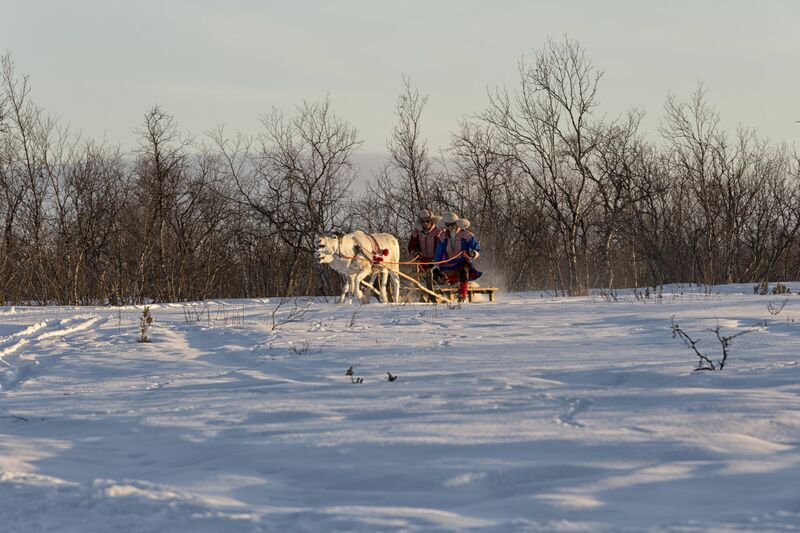 Our guides are reindeer herders and compete actively in reindeer racing, We have years of experience and we always put safety first, let our guides give you a proper guidance on how to ride the reindeers. Spending time with our lovely guides and making memorable moments, over a sooty pot of coffee brewed over a campfire. 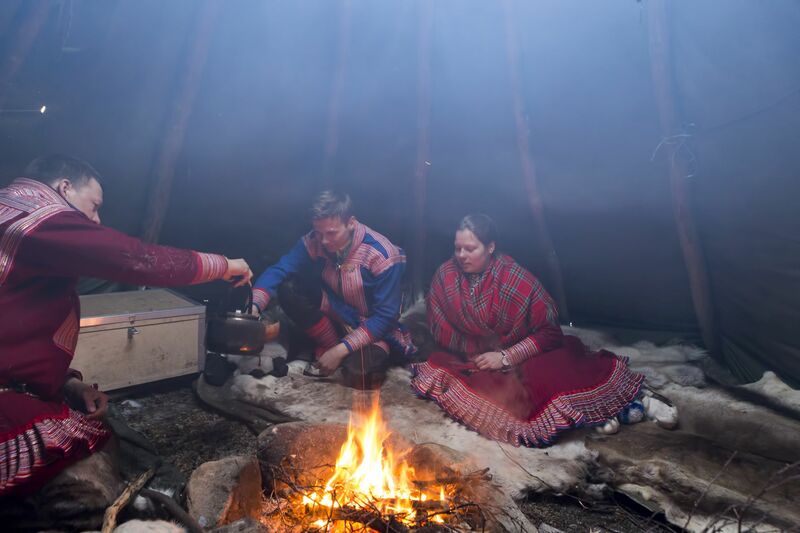 Beside a warming fire, listen to storytelling about the sami way of life. 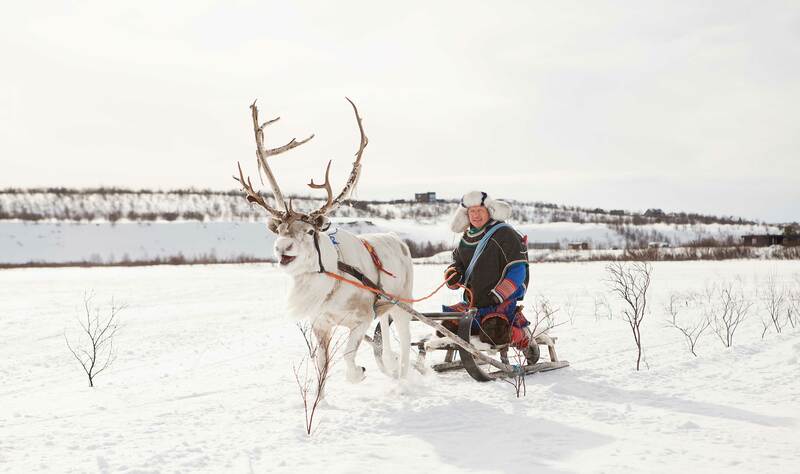 From oldtimes and traditions, to challenges from a reindeerherder point of view. Enjoy perfectly cooked traditional sami food, reindeer stew called bidus, or cooked bare reindeer meat. This will be up to guest wishes, after request. Opportunities for renting our lavvo with food and service is also a possibility. There will also be oppertunities to arrange an experience according to your wishes, so please do not hesitatet to contact us. while the fire bristles in the backdrop .. I consent to Sokki Adventure collecting my details through this form.